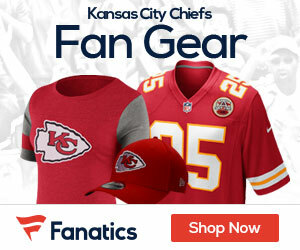 « Grab a Sweet Jamaal Charles Chiefs Jersey Now for the Holidays! Forget about the fact the Chiefs trailed by 10 in the fourth quarter Sunday, the club showed heart and soul as they rallied for a huge 17-13 win in Buffalo over the Bills. QB Alex Smith scored on an 8-yard run, and Jamaal Charles went in on a 39-yard sprint on fourth-and-1 to seal the big win. The two scores came less than five minutes apart as the Chiefs rallied from down 10 in the final quarter to pull out the victory. Sitting at 6-3, the Chiefs are 6-1 in their last seven games, and are starting to take on the look of a team that could be playoff bound in January. 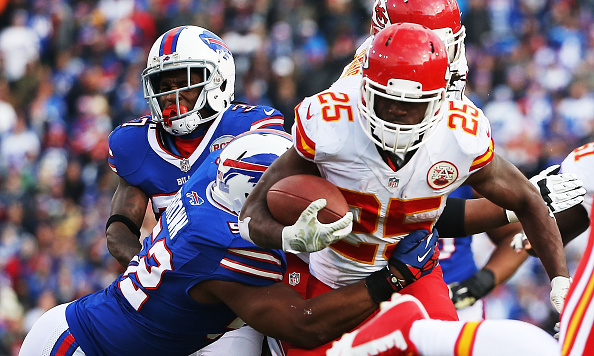 It wasn’t a thing of beauty for the Chiefs, who got some help from a fumble on a punt by Bills kick returner Leodis McKelvin. It was that play which opened the door for the Kansas City win. Charles finished with 98 yards rushing, Smith went 17 of 29 for 177 yards and Dwayne Bowe had eight catches for 93 yards in the victory. The Chiefs defense made a late stand to make the lead and eventually the win hold up, a win that could be a good sign of things to come for this gritty club. The Chiefs are playing better than many expected this season, but there are still many games to go before the post-season.